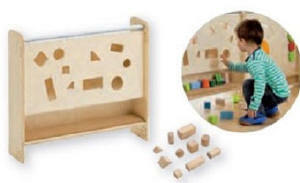 New Flexible Partition Walls encourage perception and fine motor skills. Features allow for division of rooms with interchangeable panels. Stable and robust elements encourage perception and can be combined with partition cabinets. 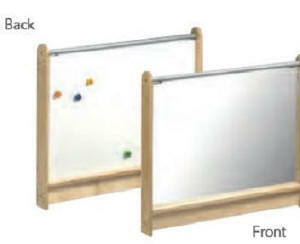 Play element panels can be played with from both sides with no loose components. Two Heights available - Toddler and Kindergarten - or a combination. These products come with a 10 year Manufacturer's Warranty. 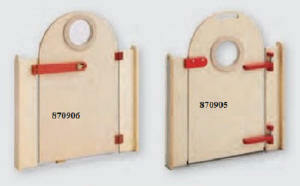 Partitions are available in sets and as individually. Partitions can be connected to each other, with solid connecting disks, movable connections and wall connections. 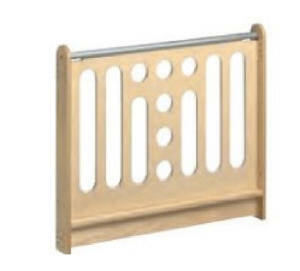 Individual panels can stand alone with mobile feet or stationary feet made of either steel or birch. 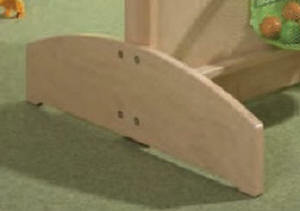 Toddler Partitions are 27 1/4" (69cm) in Height. Partition walls give new structure to rooms creating quiet and cozy corners that offer a feeling of safety and security. 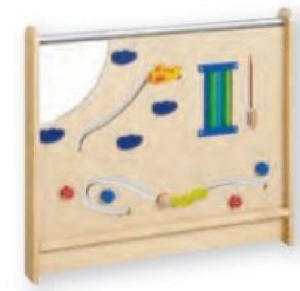 They offer many things to discover in the play corners. 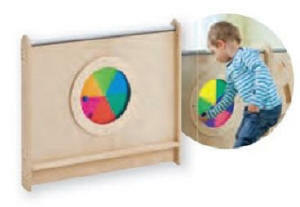 Exciting and colorful motor skills and play elements spike curiosity in little ones. 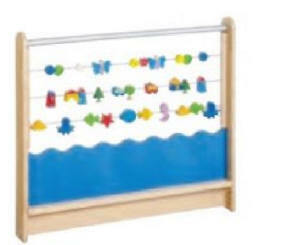 Features include panels that offer crawl through, look at, touch and grasp using all of their senses. Kindergarten Partitions come in a heigh of 53 1/2" (136cm) to create additional space as well as separate play and learn areas. The flexible partition walls can be changed at any time. 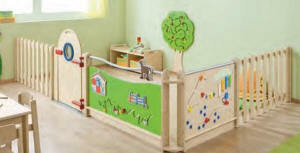 Toddler Partitions can be added for more variety. Panels are genuine birch timber veneer and geniune birch timber. Click here for more information on the Birch features. Ships unassembled with complete instructions. 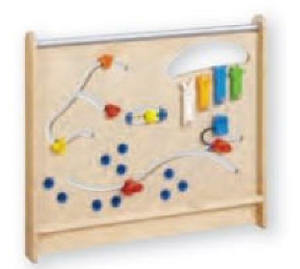 Space Requirements 91 1/2" by 106 1/2"
Space Requirements 86" x 26 1/2"
Space Requirements 117" x 83 1/4"
This combination includes visual and tactile experiences for small motor skills. 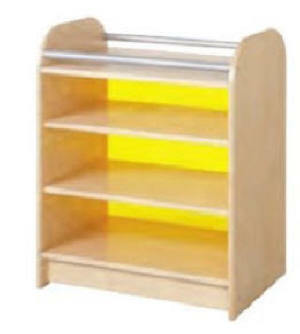 Four low shelve partitions with choice of back colors, Low shelves have steel tube cross bars to assist toddlers in standing. Includes 870154 - MOTOR SKILLS B, 870071 - ABACUS PARTITION and four of the 870901 WIDE WALL CABINET PARTITION - BIRCH or 870911 WIDE WALL CABINET PARTITION - MIRROR. Combinations include hinges, eyelets and wall connections as shown. Space Requirements 99 3/4" 111"
Two cars to slide to a gas station, 3 little bees and 4 different animals. Button knob for sliding, ball sliding game and 10 little brushes. Panel is 31 3/4" Wide. Mirror, airplane and caterpillar for sliding, swinging or rolling element. Panel is 31 3/4" Wide. 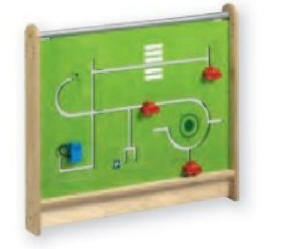 Ten pieces of clothing for sliding, ball labyrinth with magnetic bar, woodenspiral forturning, small cymbals and clicking disks. Panel is 31 3/4" Wide. 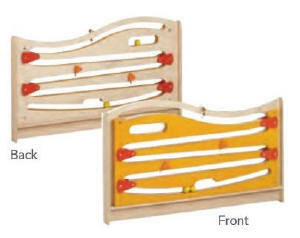 Motor function element with 3 wooden cars. Panel is 31 3/4" Wide. 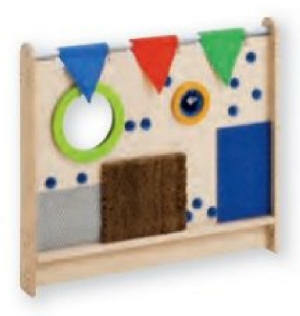 This panel is also available as a wall panel - Go to Wall Activities for more information. Three metal bars each with 10 sliding elements - sea creatures, houses, trees, flowers and butterflies. Panel is 31 3/4" Wide. Little brushes, cocoa mat, carpet, mirror (safety glass). Plush sack with squeay ducky and balls, perforated plate as well as 3 material pennants with crackling foil, ducky rattles. Panel is 31 3/4" Wide. 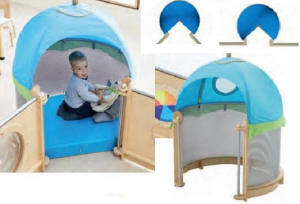 Crawl through, motor skills element, secret compartment (safe) with door and window on the back. Panel is 31 3/4" Wide. Silver-gray perforated metal panel, powder-cated. Roof with 5 outdoor fabric panels of 100% polyester with a wooden ball. Mat of PU foam core with phthalate free synthetic leather cover. The cave can be built straight with partition walls or in a corner (see picture). In the first case (straight), please order 2 eyelets (870915). Entry width is 23 1/2". Height of partition wall is 27 1/4". Height with dome roof is 46 1/2". Partition is 39 1/2" wide. Play on both sides. Turnable color disc with 3 color segments each (red yellow and blue) on the front and back side. Turning the discs creates new colors. Panel is 31 3/4" Wide. Ten shape cut-outs for inserting various geometric shapes. Carpeted shelf noise-dampening. 10 Geometrical shapes included. This item does contain loose pieces. Panel is 31 3/4" Wide. Play on both sides. The front side with 4 small gears and 1 large gear with a crank. Back side with 5 shifting elements and a printed motif. Panel is 31 3/4" Wide. Acrylic Pane 19 3/4". Panel is 31 3/4" Wide. 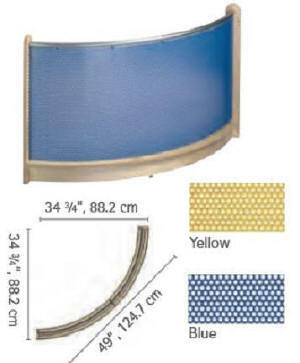 Curved acrylic pane 19 3/4". Panel is 31 3/4" Wide. 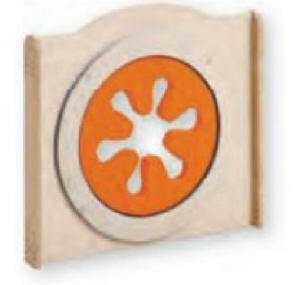 A colored wooden ring with filling made of foam and a hard-wearing material made of 100% coated polyester. Panel is 31 3/4" Wide. Birch Plywood Partition. Solid birch frame with steel tube cross bars. Panel is 31 3/4" Wide. 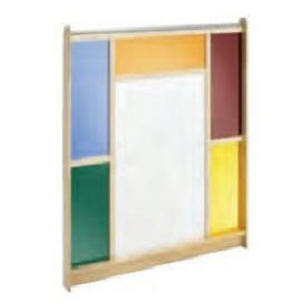 870086 - ACRYLIC PARTITION - 31 3/4"
870186 - ACRYLIC PARTITION - 46 3/4"
1/8" clear acrylic. Solid birch frame with steel tube cross bars. 870086 Partition is 31 3/4" Wide. 870186 Partition is 46 3/4" Wide. 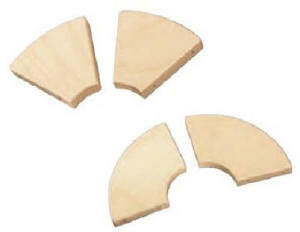 Birch wood with shape slots. Solid birch frame with steel tube cross bars. Panel is 31 3/4" Wide. 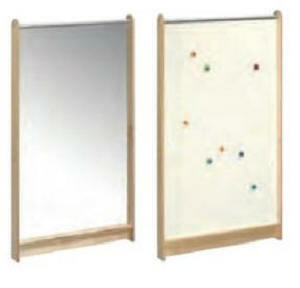 870084 - MIRROR/MAGNET PARTITION - 31 3/4"
870184 - MIRROR/MAGNET PARTITION - 46 3/4"
1/8" acrylic mirror and magnetic whiteboard. Solid birch frame with steel tube cross bars. 870084 Partition is 31 3/4" Wide. 870184 Partition is 46 3/4" Wide. 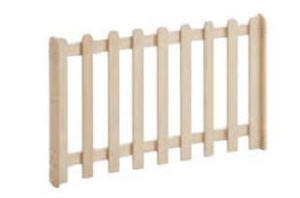 Powdered coated perforated metal - curve is 49"Solid birch frame with steel tube cross bars. Partition is 34 3/4" Wide. Circular portholes 8 1/2" diameter with colored acrylic. Solid birch frame with steel tube cross bars. Partition is 46 3/4" Wide. Purchased individually partitions do not include eyelet/pole connections, connecting discs or stabilizing feet. 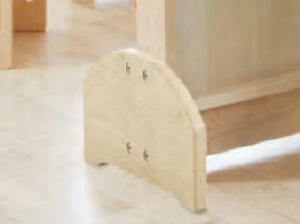 Mobile and fixed stabilizing feet also available for stand alone or wall end mount. See Accessories - Connectors and Feet for more information. Solid birch frame with steel tube cross bars. Partition is 46 3/4" Wide. Turning handles, bell, ball storage compartment and 4 balls. Frame of solid birch wood. Cross bars of Steel Tube - powder coated. 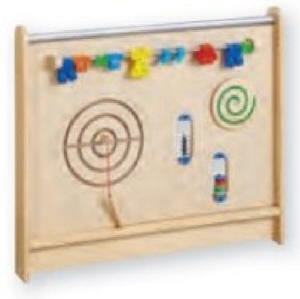 Teaches hand-eye coordination. Partition is 46 3/4" Wide. 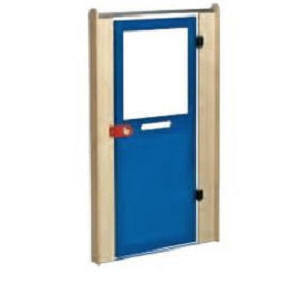 Door with safety lock that only adults can operate. Opens one way. For use only in a fixed construction (no movable pole) between partition walls. Partition is 31 3/4" Wide. 36 3/4" High. 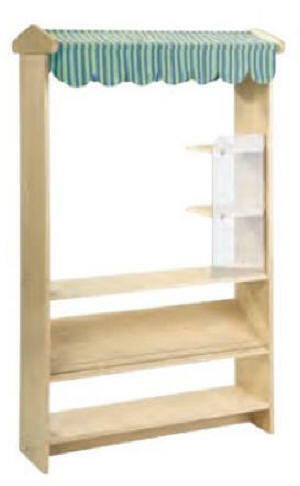 Narrow wall cabinet partition with shelves. Choice of rear panels. 25" x 30 1/2" by 16 1/4". Birch with Steel Powder coated support bars. Wide wall cabinet partition with shelves. Choice of rear panels. 36 1/2" x 30 1/2" by 16 1/4". Birch with Steel Powder coated support bars. 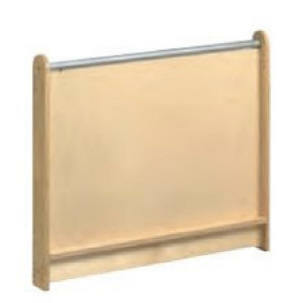 870908 - ADJUSTABLE TODDLER PARTITION - 15 3/4" - 26 1/2"
870909 - ADJUSTABLE TODDLER PARTITION - 23 3/4" - 34 1/2"
Adjustable partition for partition walls that require specific length. 27 1/2" Height. Kindergarten Partitions come in a heigh of 53 1/2" (136cm) to create additional space as well as separate play and learn areas. The flexible partition walls can be changed at any time. 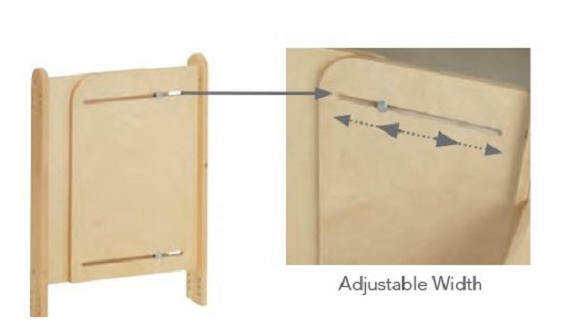 Combinations include hinges, eyelets and wall connections as shown. Accessories and hanging accessories not included. 112" x 112" - 53 3/4" High. Solid Birch Frames and Steel powder-coated cross bars. Fabric Box made of washable cotton/polyester. 31 3/4" by 53 3/4". Solid Birch Frames and Steel powder-coated cross bars. 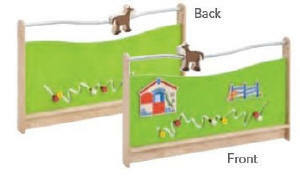 Curtain divided into 2 parts made of cotton/polyester and is removable and washable. Bags made of nylon and removable with hook and loop. 31 3/4" by 53 3/4". Solid Birch Frames and Steel powder-coated cross bars. Door with acrylic pane and lock closure. Opens one way. 31 3/4" by 53 3/4". Solid Birch Frames and Steel powder-coated cross bars. 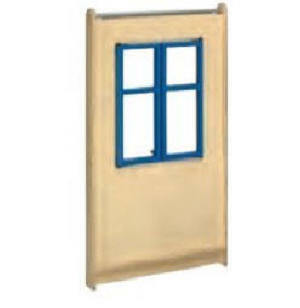 Partition with window that uses door lock to open one way. 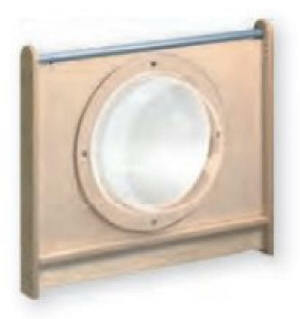 Window made of solid beech wood. 31 3/4" by 53 3/4". Solid Birch Frames and Steel powder-coated cross bars. 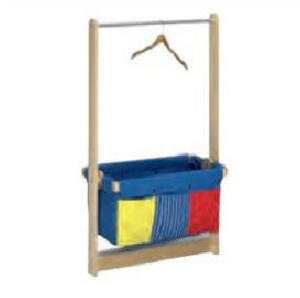 Play Store with angled shelf, shelves rod with hook and awning of cotton/polyester. 4" deep. Can only be used in combination with other partition walls. 31 3/4" by 53 3/4". Solid Birch Frames and Steel powder-coated cross bars. Green Blackboard on one side and whiteboard on other side. Both sides are magnetic. 31 3/4" by 53 3/4". Solid Birch Frames and Steel powder-coated cross bars. Mirror on one side and Magnet on other side. Mirror is made of acrylic and whiteboard is magnetic. 53 3/4" tall. Solid Birch Frames and Steel powder-coated cross bars. 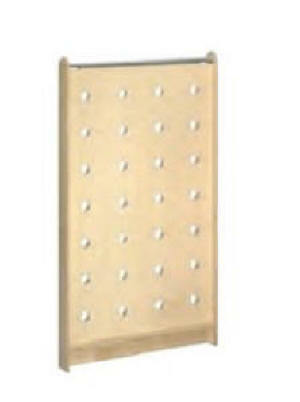 Pegboard partition is 53 3/4" Tall. Boxes and kitchen themed accessories can be added. Solid Birch Frames and Steel powder-coated cross bars. Plain Partition is 53 3/4" tall. Solid Birch Frames and Steel powder-coated cross bars. 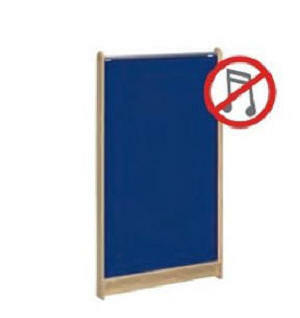 Acoustics Blue Sound Reducing Partition on both sides is 53 3/4" tall. Solid Birch Frames and Steel powder-coated cross bars. 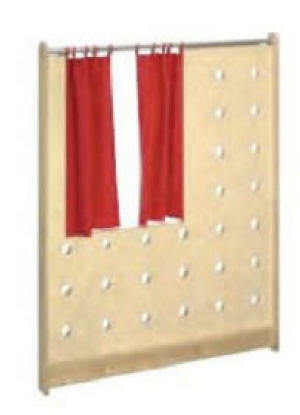 Pegboard with milling and 2 part curtain made of cotton/polyester that is removable and washable. 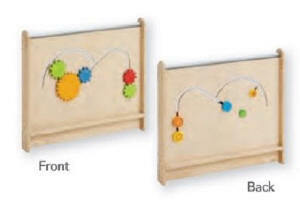 Peg board can accommodate boxes and kitchen themed attachments purchased separately. 46 3/4" Wide - 53 3/4" Tall. Solid Birch Frames and Steel powder-coated cross bars. 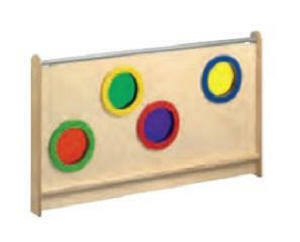 Large shadow screen in the centre and smaller screens in the colors yellow, red, orange, blue and green. 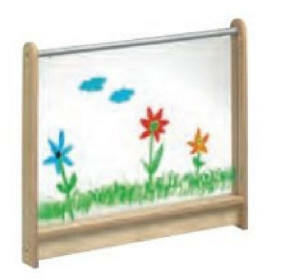 Acrylic screens. 46 3/4" Wide - 53 3/4" Tall. Solid Birch Frames and Steel powder-coated cross bars. 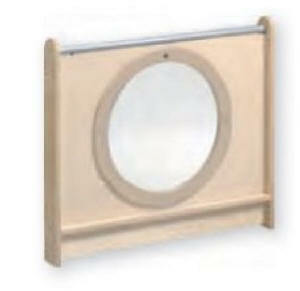 Three Acrylic portholes decorate this partition. 46 3/4" Wide - 53 3/4" Tall. Solid Birch Frames and Steel powder-coated cross bars. SOLID CONNECTIONS - Partition walls are easy to join together. Straight Connections can be made by bolting the partitions together directly. Connecting discs between partition walls are available for 45 degrees and 90 degrees creating stable partition combinations for clearly defined play areas. 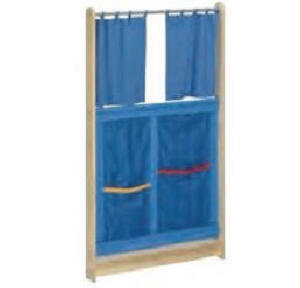 For use with Toddler and Kindergarten Partitions. 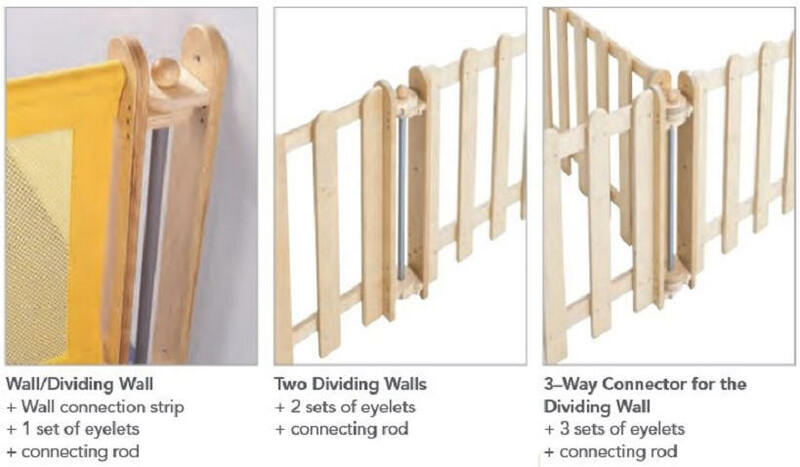 MOVABLE CONNECTIONS - Partition walls can be joined together so that they are still movable using a pole with eyelets and can also be positioned in three directions. A wall attachment barl also allows the partitions to be attached to a wall. 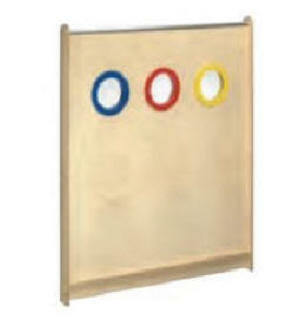 This creates flexible partition wall combinations for play areas. 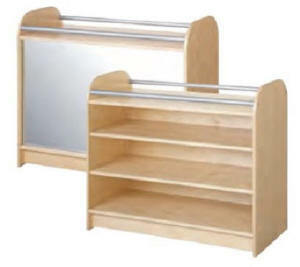 Zigzag shelves or learning stations can be built with connecting rods and eyelets. Set of Eyelets needed for each partition when using Connection Rod or Wall Connection Strip for mobile connections. 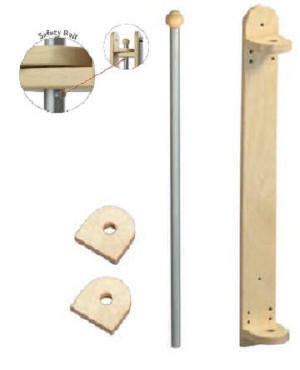 3 1/2" x 3 3/4"
For connecting partition walls at a flexible or mobile angel. Steel tube with powder coating. Top ball made of beech. Safety Bolt prevents children from removing poles. 25 3/4" High. Made of Birch 3 1/4" Wide with built in eyelets. Used to attach partitions to wall with Connection rod for flexible or mobile angle. 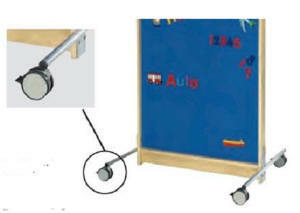 2 Metal Rolling Feet with locking casters to attach to Partition Walls for mobility. Set for one Partition Wall. 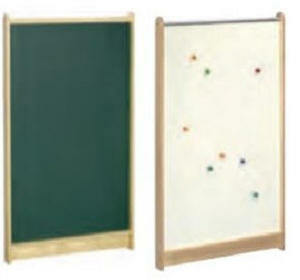 27 1/2" x 8 3/4" x 2"
Suitable for use with Partition Walls for individual wall partitions or to stabilize combinations. 1 piece. 27 1/2" x 8 3/4" x 1 1/4". 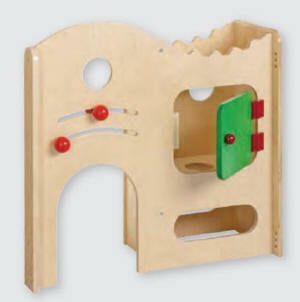 For use with Toddler Partition Walls only. 1 piece. Made of Birch. 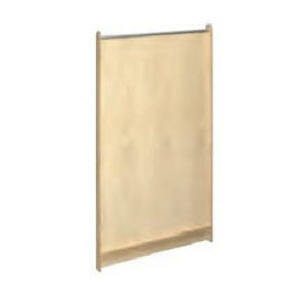 13" x 7 1/2" x 34"
Suitable for use with all partition walls. 1 piece. Made of Birch. 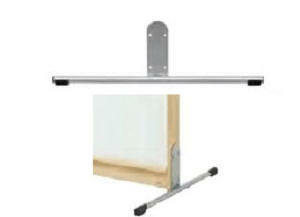 27 1/2" x 7 1/2" x 3/4"
2 Feet with 2 locking casters to make a mobile Partition wall. 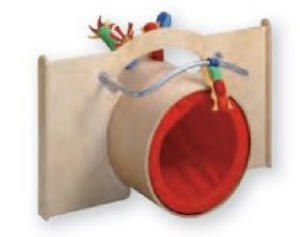 For use with Toddler and Kindergarten Partition walls. NOTE: These products are a custom order and can not be cancelled. 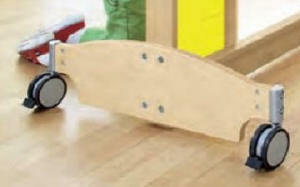 The manufacturer may make modifications for safety that may result in slight changes to the unit's appearance and design. All Pricing in US and Canadian Dollars as specified - Prices Subject to Change. Consumers may purchase products. Products are Shipped Freight Prepaid. Please contact us for a ship quote. Provide us with your telephone number by e-mail at services@hotelfun4kids.com and we will contact you to place the order. Full payment required at Order Placement for Lofts by e-transfer, wire transfer or certified cheque/money order only.